So I am running a giveaway of AngelFall by Susan Ee! It's an amazing book and you can enter to win 2 copies below, where there is a entry form and sypnosis. All you have to do, to win, is read the sypnosis below and answer the question on the entry form. After you've answered the main question you can unlock extra entries. UK Entries Only. Sypnosis: It's been six weeks since the angels of the apocalypse destroyed the world as we know it. Only pockets of humanity remain. Savage street gangs rule the day while fear and superstition rule the night. 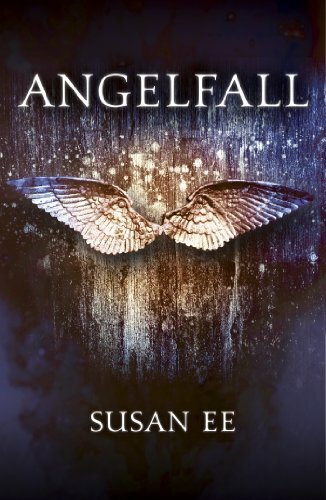 When angels fly away with a helpless girl, her seventeen-year-old sister Penryn will do anything to get her back... Angelfall is a fiercely compelling debut that tells the addictive story of Penryn, fighting for her and her sister's lives after angels of the apocalypse destroy the world as we know it. • Winners will be picked at random and contacted by the site. The prize will be delivered to the winner within 28 days of confirmation of delivery address. • Winners name, contact number and address will be passed to a third party provider for delivery. • The Editor's decision is final and binding on the entrants. No correspondence will be entered into.